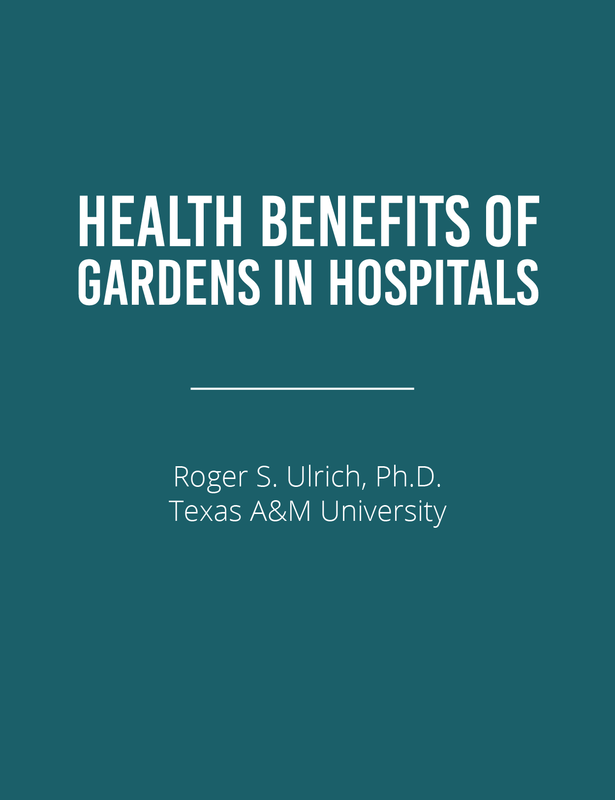 This paper selectively reviews scientific research on the influences of gardens and plants in hospitals and other healthcare settings. The discussion concentrates mainly on health-related benefits that patients realize by simply looking at gardens and plants, or in other ways passively experiencing healthcare surroundings where plants are prominent. The review also briefly addresses other advantages of gardens and plants in hospitals, such as lowering the costs of delivering healthcare and improving staff satisfaction. We're glad you are interested in learning how plants enhance human wellbeing. To keep updated with new information, please fill out the form below to be added to our newsletter. We promise - no spam!